If, like me, you’re not a Photoshop whizz and balk at the idea of using Microsoft Paint then pixlr is for you! The online service is free for the basic image editing functionality, and will serve you well for any image edits required for an email campaign (generally cropping and editing the size of an image). I generally use the basic option and once you have a look around, you soon fly through the various options and get to the one you actually want! Whether it’s overlaying your logo on a product image or adding text, Pixlr is really super. 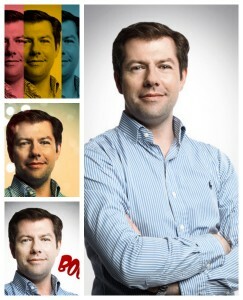 I’ve uploaded a collage that I made using an image of Karl – as you can see, there’s a lot you can do. It might not always suit you for a business requirement, but it’s free, so I wouldn’t overthink it!